The United States Army was first established on June 14, 1775 by the Continental Congress. Primarily land-based, the Army rifleman has provided the backbone of armies throughout America's unique military history. 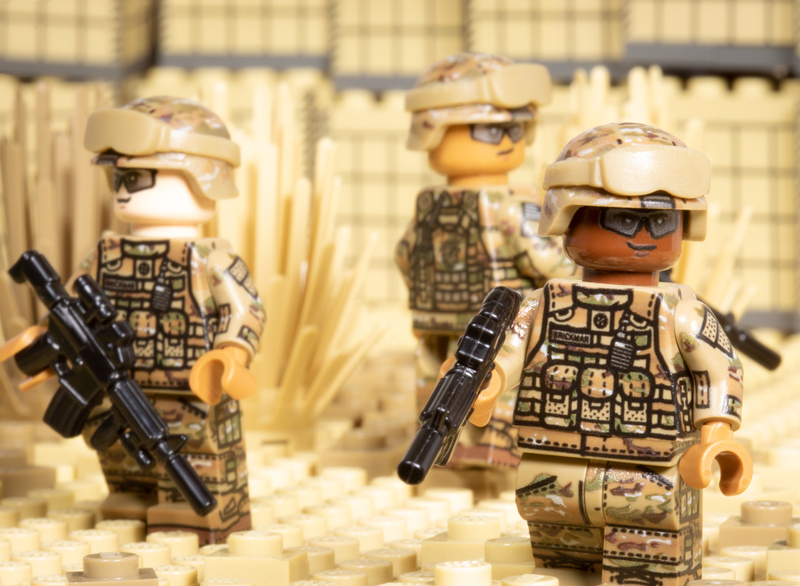 This custom-printed minifigure by Brickmania features artwork inspired by the Army's OCP (Operational Camouflage Pattern) and comes with a BrickArms MCH helmet and M4 TAC. Also featured is a dark tan Goggle Cover from Minifigcat.